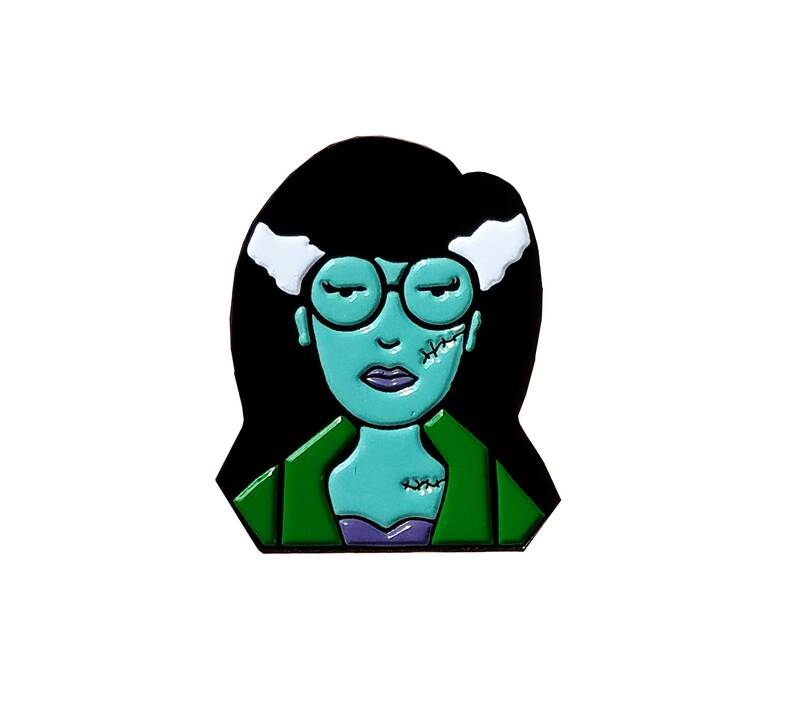 "I believe in brains...brains for everyone." 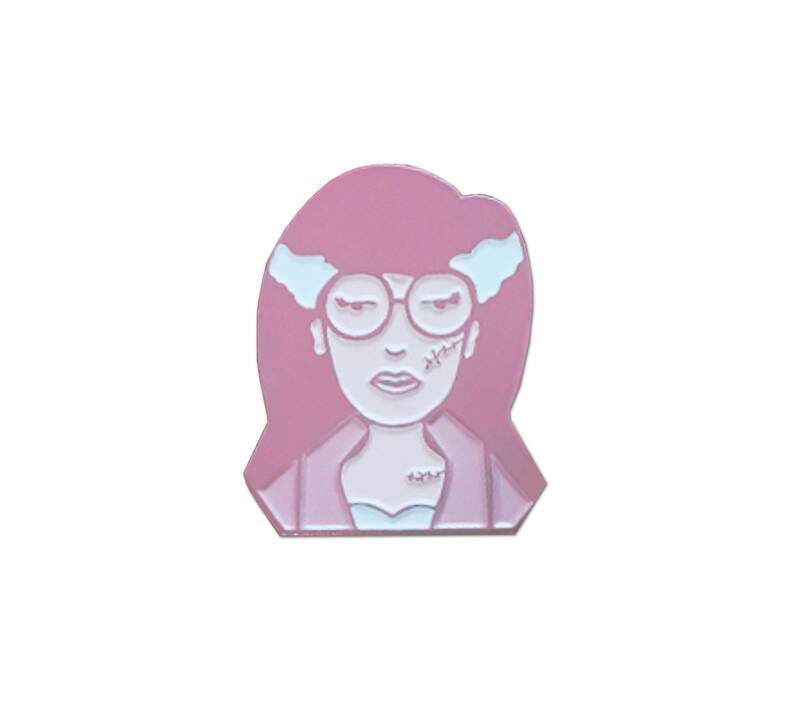 Soft enamel pin approx 1-1 1/2" in size. 3 different color variants: the first is outlined in black metal. 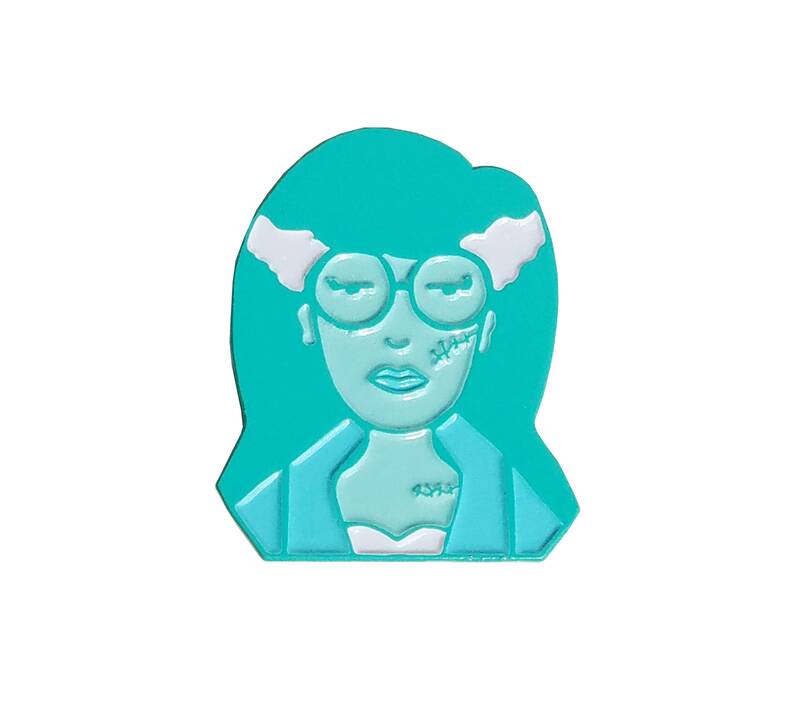 another in pastels and gray and an all blue version. 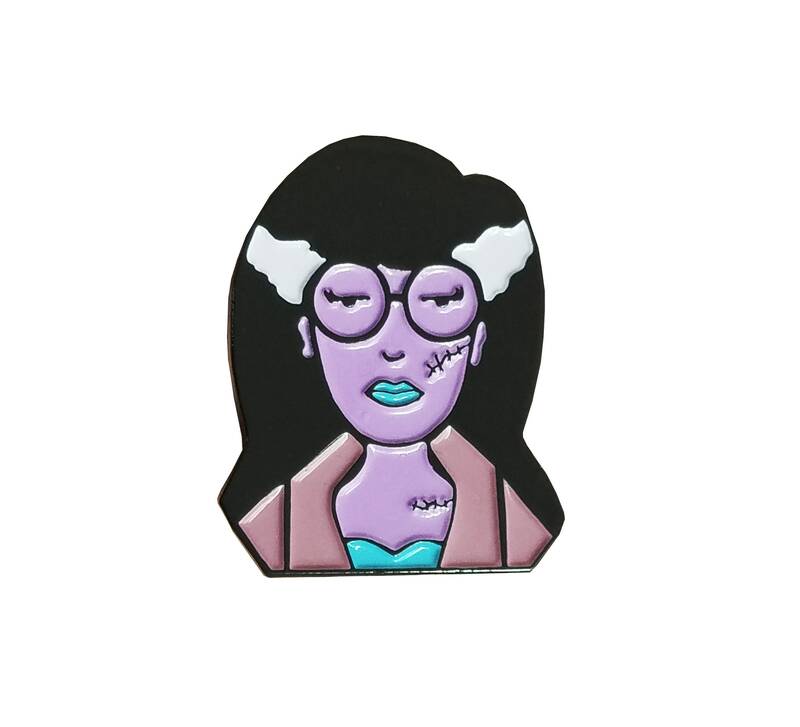 This zombie Daria pin looks great on bags, hats, jackets or in your Daria collection.